This move in ready 3 bedroom 2 bath one level home was built in 2015 and It shows like a model home. It is located Â½ mile from Downtown Travelers Rest and has access to the Swamp Rabbit Trail for biking, walking, running enthusiasts. 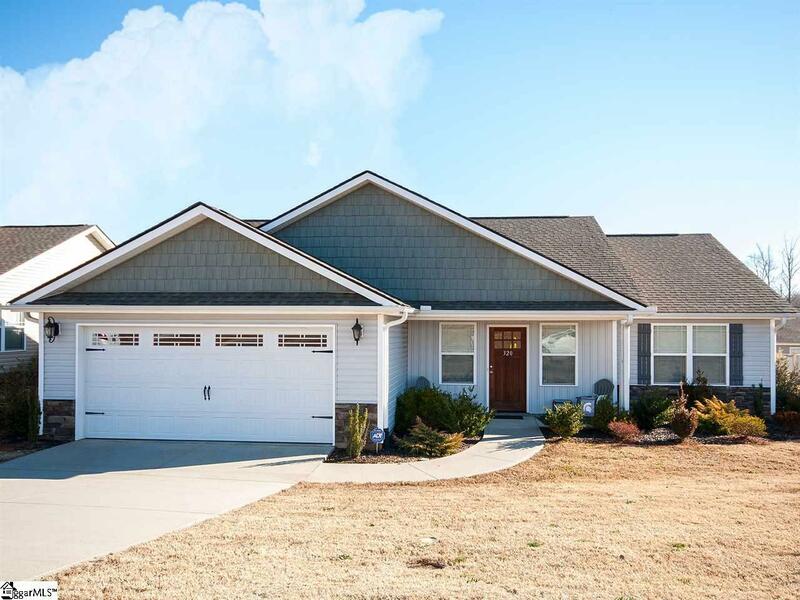 You will truly appreciate the features of this home with its open floor plan, vaulted ceiling and fireplace in the family room. You will enjoy our beautiful Upstate seasons from the covered porch that overlooks the fenced in yard. If you like having a gym nearby, the Travelers Rest Y is just up the street. Under $200,000 this home will not last. See it today! Ask the appointment center for the ALARM CODE!